Blind Eye Prosthetic Lens | Ocular Prosthetics, Inc.
At Ocular Prosthetics, Inc. we treat patients for the condition known as phthisis bulbi. This is commonly diagnosed by a shrunken, nonfunctional eye. The eye may also show signs of disfigurement or discoloration. Phthisis bulbi can be the result of numerous causes such as eye disease, birth defects, trauma, and unsuccessful eye surgeries. What many people don’t know about phthisis bulbi, is that it can be cosmetically corrected with a scleral shell ocular prosthesis, from Ocular Prosthetics, Inc.
Having a cosmetic abnormality can be a immense challenge for patients, both mentally and physically. Many of our patients have expressed with us the difficulties they face in their everyday social interactions. With a custom fit scleral cover shell these challenges can be met and overcome. A scleral shell ocular prosthesis is a very thin prosthetic eye that will cover the shrunken, nonfunctional eye. This ocular prosthesis will not only provide cosmetic restoration, but also medically enhance the ocular function. These benefits include protection against corneal abrasion and the proper performance of the eyelids. The process of making a scleral shell starts with your board certified ocularist taking an impression of the shrunken, nonfunctional eye. This impression will then be used as the template for making the prosthetic eye. 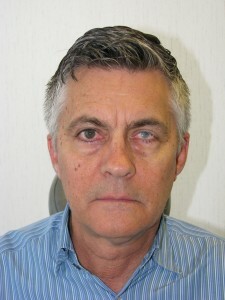 This technique is used to create a scleral shell is that an exact fit, optimizing both the comfort and movement of the prosthesis. Many of our patients are able to wear their prosthesis for months at a time without removing it. This process typically requires three or four office visits. Although, special arrangements can be made for patients traveling from long distances. If you suffer from this condition, please don’t hesitate to contact Ocular Prosthetics, Inc. today at any one of our five office locations: Los Angeles, Orange, Encino, Torrance, and Santa Barbara. Scleral shell ocular prosthetics are covered by most insurance plans including Medicare and MediCal. Special arrangements can also be made to accommodate patients traveling from long distances to complete the cosmetic cover shell in one day. To schedule an appointment, please fill out the form on the Request Appointment page.